This is the field monitor I've been waiting for. TINY. Sharp. Rugged. Tons of inputs - Loop-thru 3G-SDI, HDMI (video and PC), Component, and Composite. Tons of power options and accessories. Focus Assist and other clutch features. You can even use it as a computer monitor. It's about 1300 bucks for the SDI option. So cheap for such a nice tool. 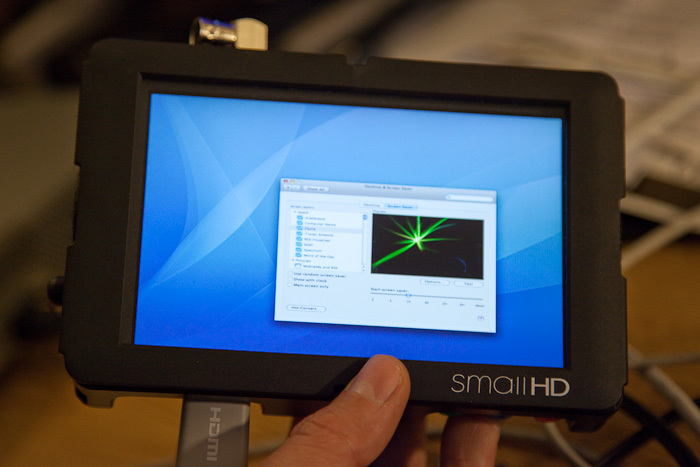 And Small HD is a great company. Super responsive and results oriented customer service. If you have an issue, these guys work tirelessly to resolve it. If you couldn't tell, I'm extremely pleased with the DP6 and am excited at the speed they're cranking out firmware upgrades and adding features. Full on, honest review to follow soon.